X JAPAN's YOSHIKI passed out during a promotional event in Iceland, making him forced to cancel it. The singer was promoting in Europe for the European theatrical premiere of X-JAPAN's documentary, "We Are X". YOSHIKI has been active the past 12 days with over 100 appearances, radio shows, interviews and more. On October 21st, he was scheduled to perform at promotional event in Reykjavik, Iceland. The event included a Q&A session. During the appearance, YOSHIKI suddenly collapsed, forcing the event to be cancelled. "Yoshiki is receiving medical care for exhaustion and doctors are keeping a close watch on his physical condition. As of now, Yoshiki's Paris screening event next week remains on schedule," a statement on YOSHIKI's website said. 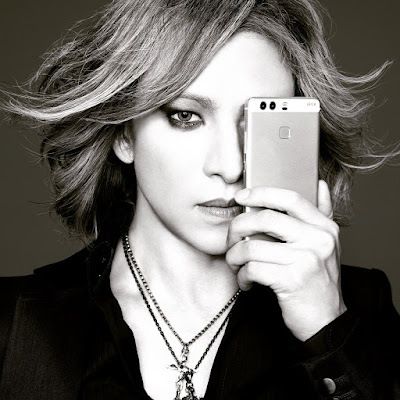 YOSHIKI has since the previous updates reassured fans he's ok and resting.